Successfully Added NO.1 G8 Phone Watch - Bluetooth 4.0, App Support, 1 IMEI, Pedometer, Sleep Monitor, Sedentary Reminder, Heart Rate (White) to your Shopping Cart. Make calls and send messages straight from your wrist with the NO.1 G8 phone watch. This sophisticated smart watch will take your connectivity to the next level. No longer will there be the need to carry along your smartphone at all times. Simply slide your SIM card into this watch phone and you’ll be able to enjoy all basic smartphone features at your wrist. From now on, you’ll always be able to stay connected to friends and family and never miss out on an important call or message again. By packing a 380mAh battery, it delivers up to 100 hours of standby time and 2 hours of continuous talk time. With all this power at hand, you should be able to get through multiple days of regular usage without needing to recharge. Thanks to its Bluetooth support, you’ll also be able to sync this smartwatch with your cell phone instead of using a SIM card. When synchronized with your iOS or Android phone, you will receive notifications on your watch anytime somebody calls or messages you. Additionally, it will also display social media notifications. Naturally, all can be answered instantly through your phone watch without needing to have your phone at hand. On its 1.3-Inch display, this watch phone treats you to crisp and clear visuals that can be enjoyed at any given moment. 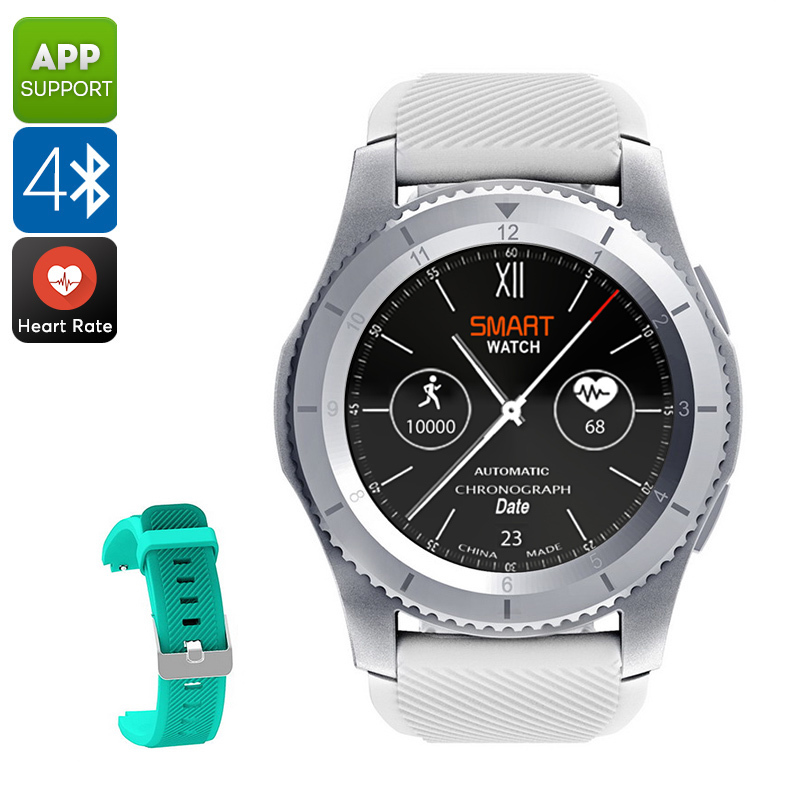 Besides significantly enhancing your connectivity, this Bluetooth watch also packs a wide range of smart health and fitness features. A heart rate monitor is in place to keep you constantly updated on your current heart rate. Based on this information, you’ll be able to fully adjust the intensity of your workouts to reach the optimal results in the most efficient manner. Additionally, it comes with a pedometer that keeps accurate track of the number of steps you took throughout the day. Therefore you can be sure that you’ll meet your daily exercise levels every day. Your sports watch furthermore comes with a sleep monitor and sedentary reminder. With the NO.1 G8 Bluetooth watch at your wrist, you’ll be able to reach your future fitness goals in no time.